Although it may seem strange, there are many reasons why some people might want to get rid of flower bulbs. 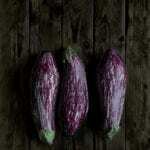 Perhaps, they’ve spread into unwanted areas or maybe you’re changing the looks of your garden with other flowers. 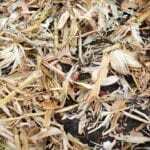 Flower bulbs can be invasive and sometimes it is difficult to remove bulbs from your garden, but with patience and perseverance you can succeed in eliminating your garden of undesirable bulbs. The first thing you will have to do when trying to remove bulbs from garden areas is to put a black plastic covering over the bulbs during growing season. This will block out all the sunlight and will prevent bulbs from growing. In the fall, dig out the unwanted bulbs. 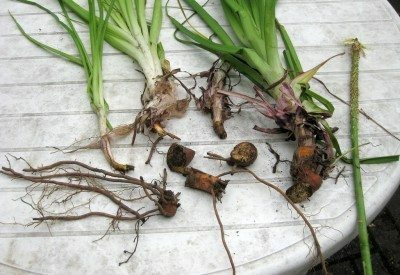 If any of the plants are above ground, you can pull them out, but this might leave some roots and sections of the bulb underground. If this is the case, a new plant will grow next year. 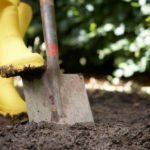 The most successful way to get them out is to use a hand shovel and dig at least six inches wider than the bulb and to dig deep enough to get all the roots. A commonly asked question is, “Will herbicide kill flower bulbs?” The answer is yes. These will kill the unwanted bulbs, but you must be careful, as the herbicides will also kill your other plants. Spray the herbicide on a hot, dry day. If the temperature is too cold, the herbicide will not work because the bulb will be too tight for the herbicide to penetrate. The herbicide needs to be applied directly onto the foliage so it can travel down to the bulb and kill the roots. It also helps to cut the foliage so it will open the pores to get the herbicide into the bulb more effectively. Bulbs can be awfully persistent, so digging, spraying and covering may have to be repeated as many as three growing seasons to completely kill the bulbs.